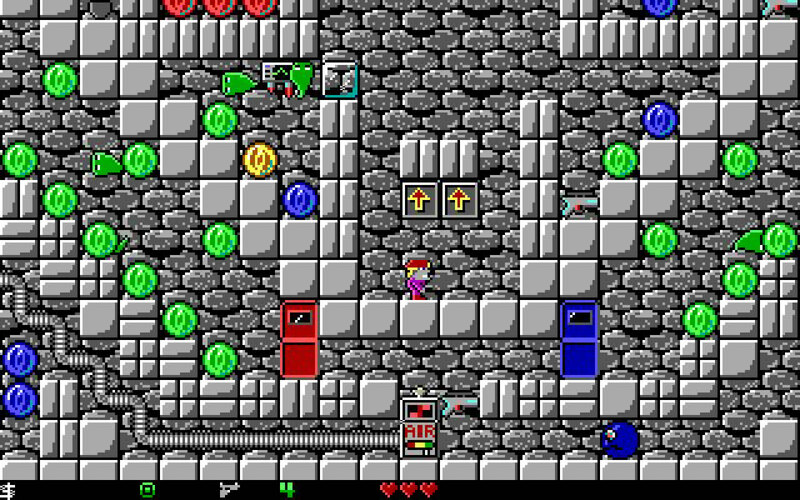 Enter an underground world of treasures and traps in Crystal Caves, a colorful EGA game that rivals any commercial game with its arcade quality, puzzles and graphics. As Mylo Steamwitz, enter cave after cave of adventure, gathering teasures and evading countless hazards. 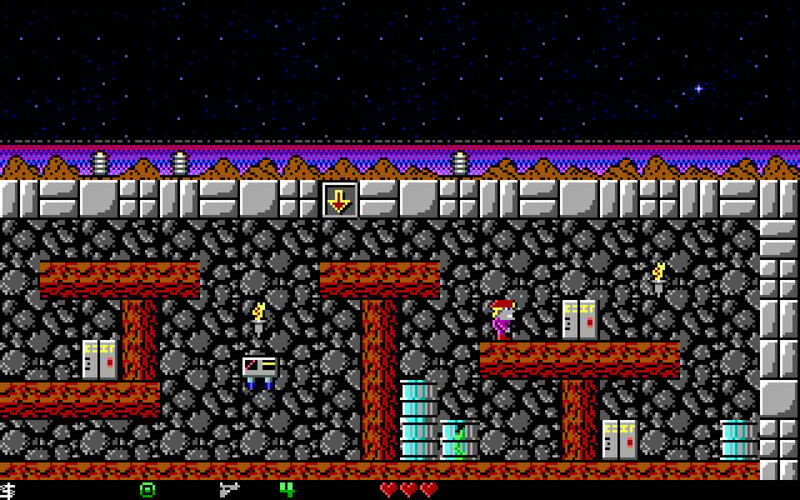 Crystal Caves is a mixing of Nintendo's Mario Brothers, Commander Keen, and Indiana Jones. 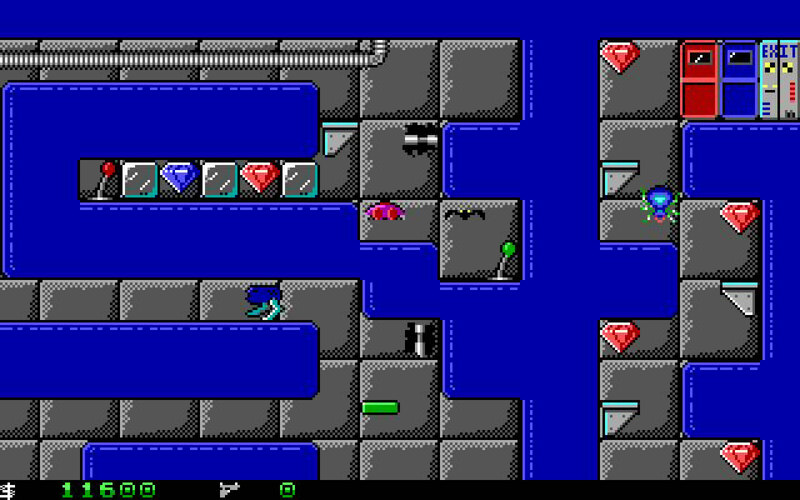 As with all Apogee games, a high priority has been placed on solving ingenious puzzles built into the game. 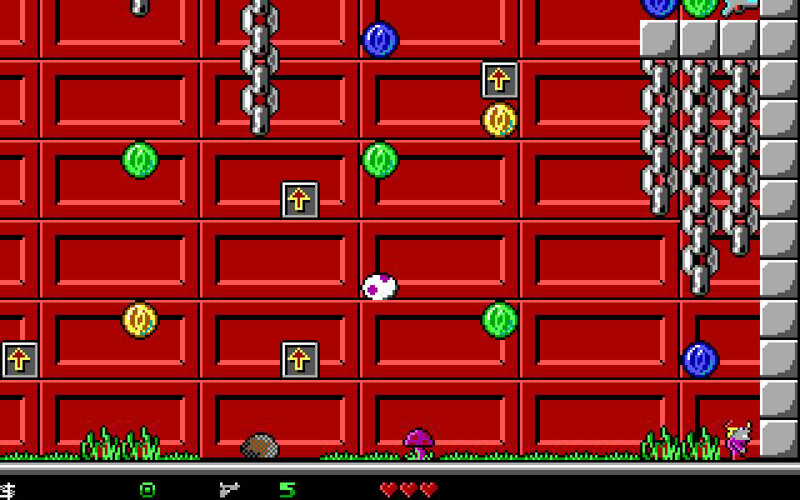 The game begins with Mylo rocketing to the Altairian star system on a simple treasure hunt. But what happens is far more dangerous than even Mylo bargained for. 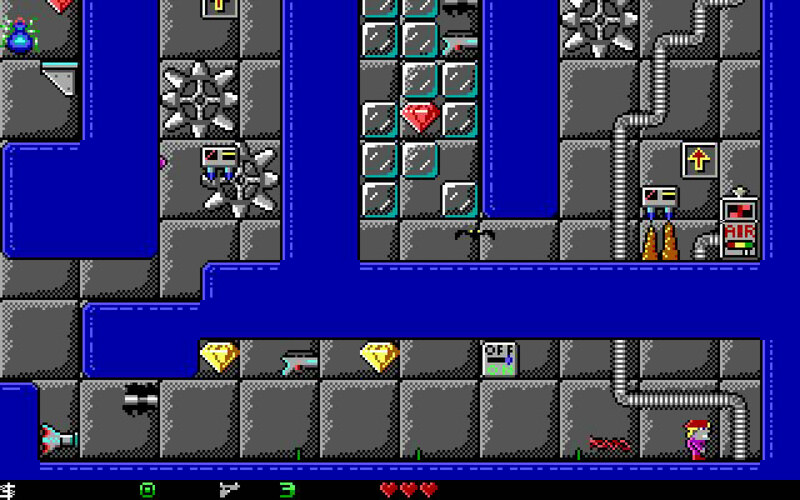 He enters an underground world of chambers full of alien technology and traps. 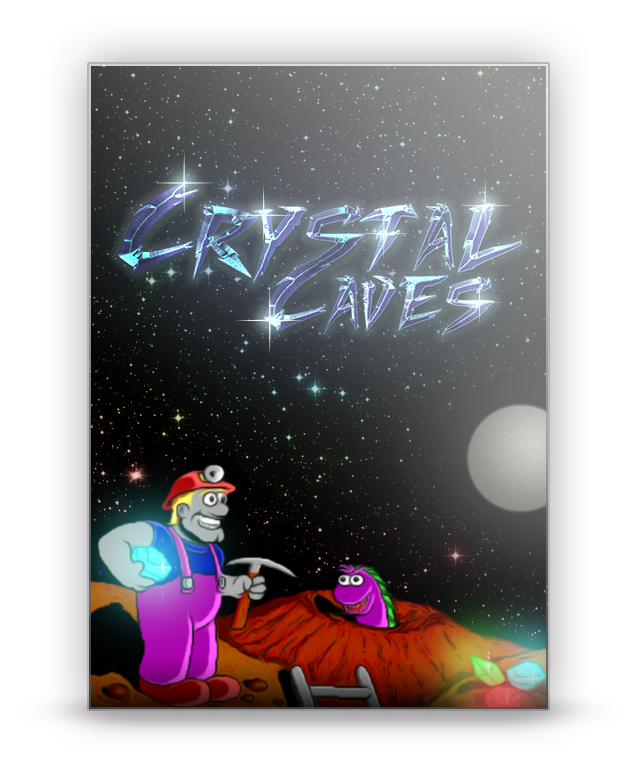 Strange alien creatures and robots inhabit the caves, protecting the priceless crystals from money-greedy explorers. There are three unique episodes to the Crystal Caves saga: "The Trouble with Twibbles", "Slugging it Out", and "Mylo Verses the Supernova". 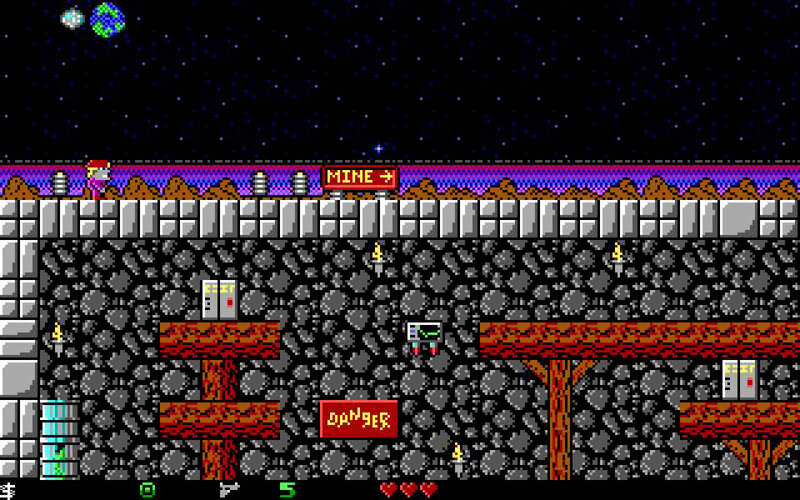 Each episode has a unique story twist and graphics. Can you help Mylo strike it rich and quit his day job? 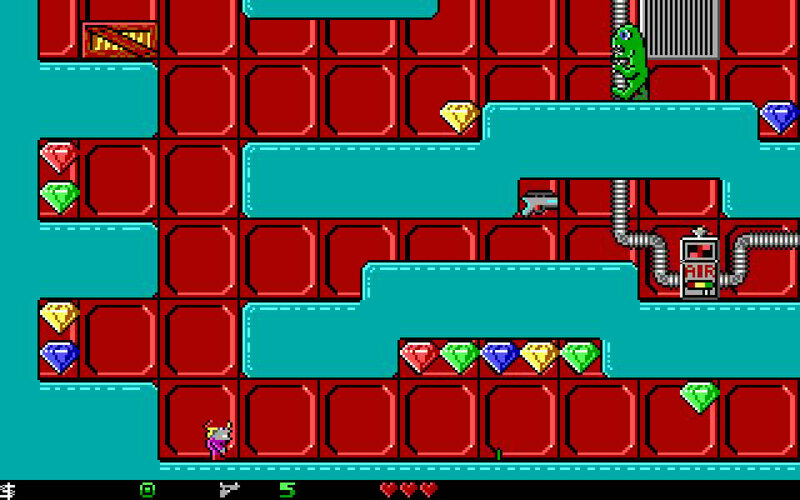 Alien Acrobat: Mylo can walk up-side-down - some levels have such low gravity that the recoil from Mylo's laser pistol can knock him into other dangers! 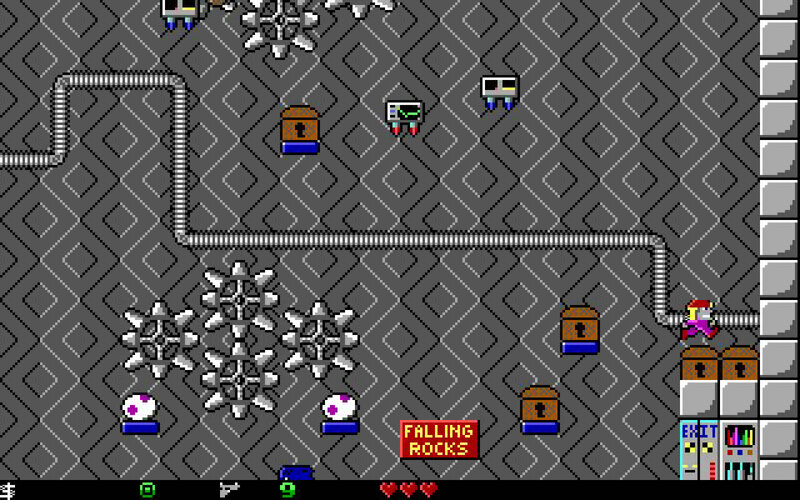 Brave New World: Lightless levels, falling hammers, egg-dropping alien bats, free-roaming slither eyes, web-shooting alien spiders, and much, much more! Windows XP, Windows Vista, Windows 7 and Windows 8. Minimum of 2GB of RAM.